A Footing Drain is a French drain located outside at the base of a buildings foundation walls to prevent the flow of water from entering into the basement, crawl space, or through the foundation wall itself. 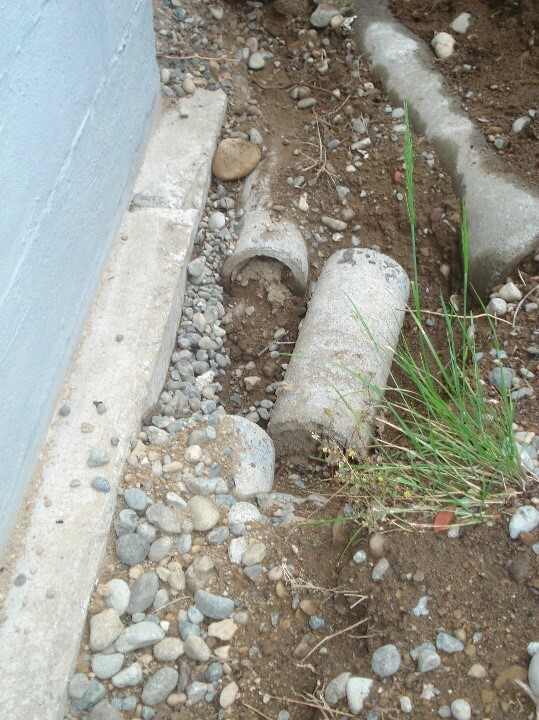 Footing drains were not really introduced into home building practices until the late 1940’s to 1950’s and when they were the pipes were typically made out of clay (terra-cotta) or concrete (see photo). Over time and with age the pipes become brittle, they break, clog with dirt and tree roots, or they collapse and water can no longer flow through the pipes. New footing drain with coating, drain mat and rock. the wall. The drain pipe system is made of rigid and durable PVC perforated pipe, filter fabric to keep the system clean, covered in ample amounts of drain rock, and the soils and landscaping return to original conditions. System waters will then be re-routed to a safe location for disposal either on site or tied into the municipality storm water system. 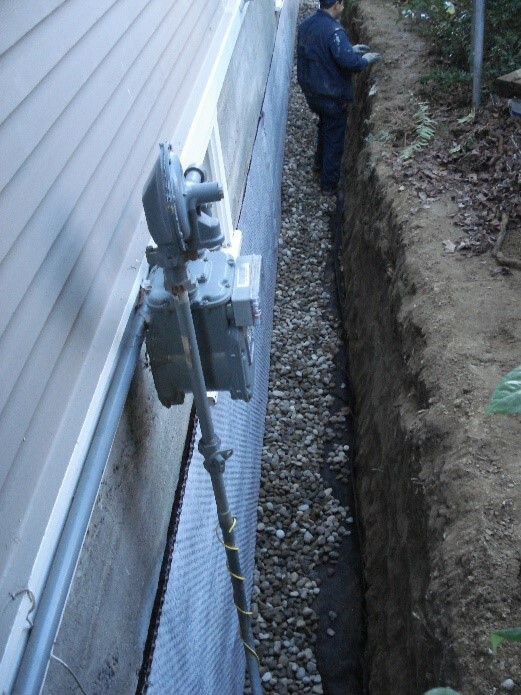 Exterior footing drains can be an expensive and costly way to prevent water from entering a basement or crawl space, but it might also be the best course of action to solve the issue long term. Depending on the source of water there may also be other exterior and interior solutions to basement water problems that Perma Dry may recommended to achieve a dry and healthy home. To learn more about the right solutions to your Seattle-Tacoma basement water problems call us today at 425-277-1990 and have one of our trained estimators help you solve your water problems.